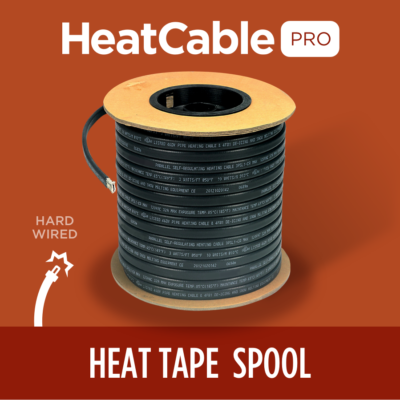 The easiest solution for heat tape installation is our plug-in-ready, self-regulating HeatTape Pro. Available in 14 different lengths from 6-foot to 150-foot. Just plug in the LED-illuminated three-pronged plug into a standard outlet and use some of our roof clips to affix the cable to your roof. If you are using Heat Tape in your gutters, don’t forget downspout hangers to protect your cable from the sharp transitions. 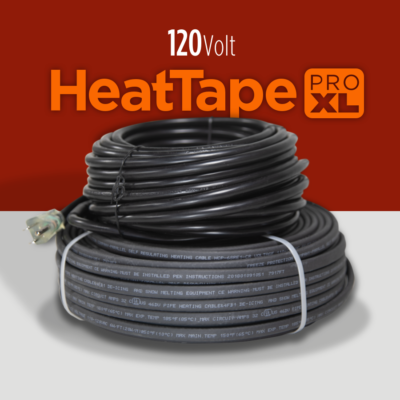 A 50-foot cold lead in addition to the (listed) heated length allows you to reach far away outlets. Available in 5 different lengths from 37-foot to 150-foot. Just plug in the LED-illuminated three-pronged plug into a standard outlet and use some of our roof clips to affix the cable to your roof. If you are using Heat Tape in your gutters, don’t forget downspout hangers to protect your cable from the sharp transitions. Available in any custom length you need and in 120v & 240v configurations. 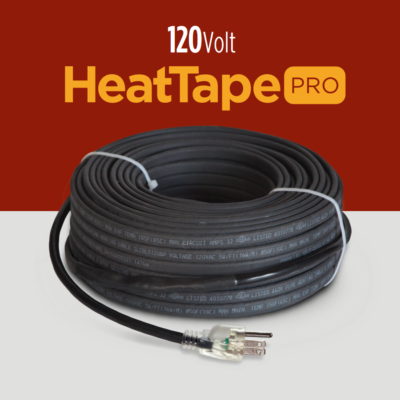 Hard-wire directly into your 15amp or 20 amp service using our Hard-wiring Connection Kit, or even convert it to a plug-in cable using our Plug-in Conversion Kit. If you are using Heat Tape in your gutters, don’t forget downspout hangers to protect your cable from the sharp transitions. Available in 3 lengths (250-foot, 500-foot, 1000-foot) and in 120v & 240v configurations. 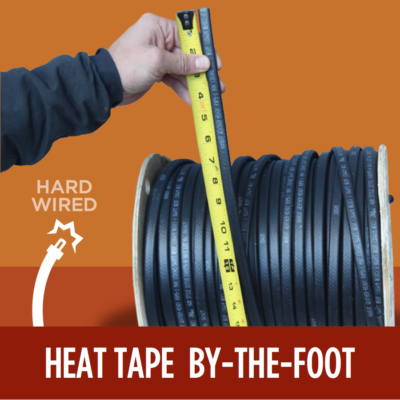 Hard-wire directly into your 15amp or 20amp service using our Hard-wiring Connection Kit. If you are using Heat Tape in your gutters, don’t forget downspout hangers to protect your cable from the sharp transitions.